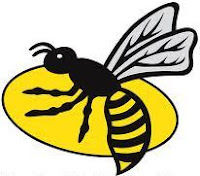 Talks to sell London Wasps have apparently broken down, raising the very real possibility of the club going into administration. The club, who have been looking for a new owner since last summer after Wycombe District Council rejected plans for the construction of a new stadium, now “urgently need a new investor” and, although an official statement confirmed that London Wasps Holdings Limited remains “a going concern,” all does not appear to be well. Embroiled in a relegation battle and with current owner Steve Hayes having been arrested on suspicion of computer-hacking, Wasps are now seemingly running out of cash – a dramatic fall from grace for the club who were European Champions only 5 short years ago. Wasps’ plight puts the whole debate around the salary cap into context. English clubs can’t compete in Europe, we are led to believe, because the salary cap in England is dwarfed by the equivalent cap in France. Whether or not this theory has any merit, it massively misses the point i.e. that the current structure of the professional game in England is unsustainable in the long term. Simply put, there isn’t enough money in the game to sustain 24 professional clubs. I agree. I am sure that there will be much howling and gnashing of teeth but there is simply not the numerical or financial support for that many clubs. Do I think they should disappear? Absolutely not. There are long and proud historys that should remain and thrive. My view is at your need a smaller group of regional franchises that are fed from the clubs and academies. This would allow a concentration of playing, mgt, and financial resources. The clubs should either be big enough to be a franchise or exist as a proper local club entity at an amateur or semi pro level. Arguably this set up would allow rugby to preserve its long held, and valued, community/corinthian ethos at the club level, whilst building franchises that could compete at a pro level. Do you think there is any merit in perhaps the RFU creating 5 franchises (a la the Super 15) and therefore centrally contracting the players (they have enough money to do so) and maybe joining the Rabbo Direct Pro 12? I don't think the current set-up necessarily needs a change, but it may help the competitiveness of the players and teams in Europe. Wow, first the Glasgow Rangers in Football, and now Wasps in Rugby. The sad thing is, I think this a trend that will continue.